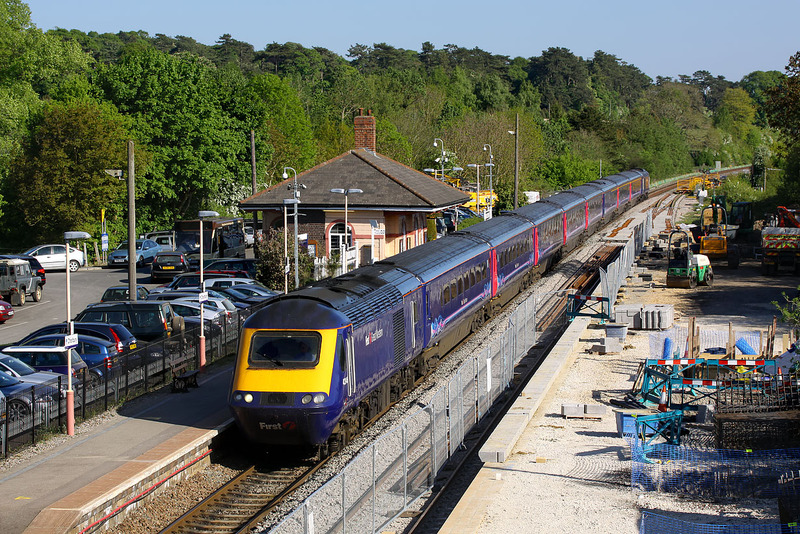 The second platform is taking shape at Charlbury station on 3 May 2011 as 43146 arrives with the 1W47 15:51 Paddington to Worcester Shrub Hill First Great Western service. The coping stones are partly in place and in the background the recently delivered point that will mark the end of the new double track section can just be seen. The time is 17:11, which explains why there are no orange jacketed workers wandering about in the picture!